Come stay at a San Diego luxury resort. 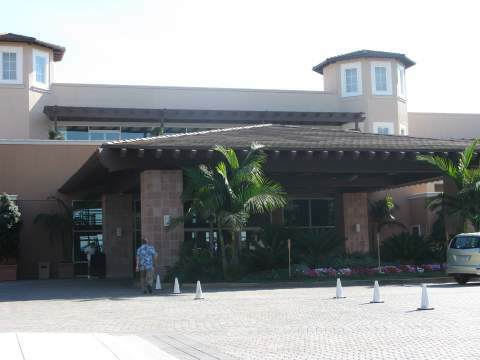 San Diego resorts are perfect for many occasions - vacations, weddings, and business. The San Diego area is known for its Mediterranean climate and beautiful beaches, and has many San Diego resorts close to popular attractions. The resorts featured on this page are close to the beach, but aren't right on the sandy beach. Check them out for your Southern California resort vacation! Looking for a resort on the sandy beach? Go to Beach Resorts in San Diego. Grand Pacific Palisades Resort and Hotel is located in Carlsbad next to the Flower Fields, this has a beautiful view of the Pacific Ocean. You can walk to Legoland California and SeaLifeAquarium next door. Grand Pacific Palisades Carlsbad features an Olympic sized swimming pool and the works, and the resort has villas in addition to hotel rooms. The new Carlsbad golf course is down the street. We enjoy happy hour at Karl Strauss restaurant and microbrewery next door. Near the Grand Pacific Palisades Resort is the Carlsbad Outlet Mall, an outdoor shopping mall with upper end outlet stores. Easy access to the freeway to explore more places, including all those great San Diego Beaches, for your San Diego CA beach getaway. A great place to stay if you are visiting Legoland and don't want to be right on the beach. Looking for a Southern California resort? Omni La Costa Resort and Spa is a San Diego luxury resort and spa located in La Costa, a community of Carlsbad. Great swimming pools, water park and water slides for the kids, so they won’t even want to leave! 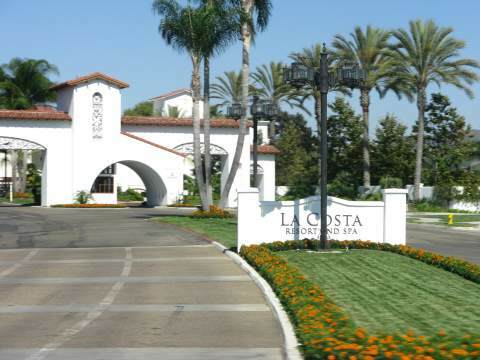 Omni La Costa Resort features 400 lush beautifully landscaped acres, golf course, spa treatments, pool side food service, and complimentary shuttles to nearby Carlsbad Ponto beach. This new hotel in Carlsbad is located right next to Legoland California, and is decorated in - you guessed it - Lego theme! Choose a room from three themes: Pirate, Kingdom or Adventure. The perfect place to stay for your Legoland vacation. Note that Legoland California is open daily during the summer and certain holiday times, but may be closed some weekdays during the year (usually Tuesday and Wednesday).